"Speckman has gloriously captured some of the most exciting moments of my career. He is a true professional and a great credit to his chosen field of endeavor!" "Graphic Designers will especially enjoy partnering with Dave because of his ability to give solid creative input while advancing their overall conceptual goals. When you work with Dave, you can feel confident that he'll guide you through the intricacies of lighting and composition." It is life’s experiences that shape people, and their passions that define them. Dave Speckman, of Speckman Photography in Traverse City, is just that- experienced and passionate. “There’s not a lot I don’t like taking pictures of. I’m just glad to be working,” says Speckman. That openness and humility may be a reflection of Speckman’s Midwest upbringing, with its emphasis on relationships and ethics. It was at the University of Tennessee, amidst earming a psychology degree and playing on the soccer team, that he discovered his life’s passion- photography. He earned a degree in Commercial Photography from the Ohio Institute of Photography and Technology and then was off and clicking. After working at an advertising agency in Ohio, Dave moved to Los Angeles to pursue freelance work in commercial modeling, landscape and portraiture work. He built his skills, broadened his experience and filled his portfolio before the Midwest ultimately called him home. Settling in Traverse City, Michigan, he joined the esteemed Interlochen Center for the Arts as staff photographer and then Director of Photography. Dave excelled over the next 8 years there, expanding his portfolio and knowledge, and shooting every imaginable arts discipline. “Many of Interlochen’s most prized and frequently used images were created by David Speckman,” says Paul C. Heaton, Interlochen’s former assistant vice president of communications. Speckman also brought his creative eye to annual reports, brochures, catalogues, videos, fundraising pieces and the media. While at Interlochen, he expanded his network of contacts to world-class performers in the arts and students and faculty from around the world. 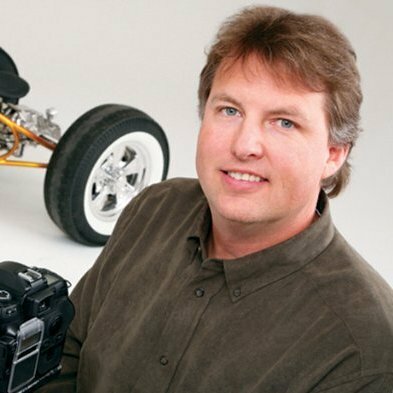 Looking to branch out into new professional challenges and apply his expanding knowledge and skill, Dave teamed with respected Traverse City commercial photographer Don Rutt for 6 years before buying the business in 2006. Since undertaking that venture, Dave’s personal life has led him into new depths and opportunities. He became a husband and stepfather, expanding his family with the adoption of young brother and sister orphans from Kazakhstan. His life’s journey is influenced every day by family, friends, clients and acquaintances. The result is a newfound creativity and clarity in his work. Dave’s signature style is exciting and dynamic, with consistent, high-quality images that are unparalleled, frame after frame. That same attention to detail translates to his subjects. Whether it’s perfecting lighting for a food magazine shoot, or photographing from a helicopter shooting speeding boats on crystalline northern lakes, to capturing the unexpected expressions of children in a classroom, Dave brings his unique and precise vision to them all. Speckman Photography - life experience and passion at its best.